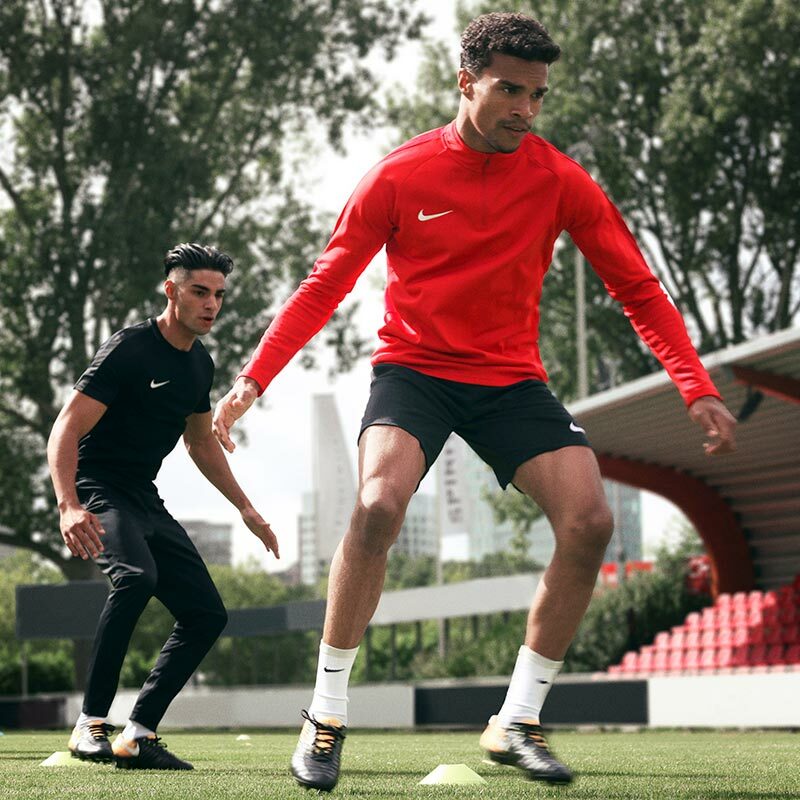 Set the pace for training or match warm-ups in the streamlined Nike ® Academy 18 Senior Midlayer Top. 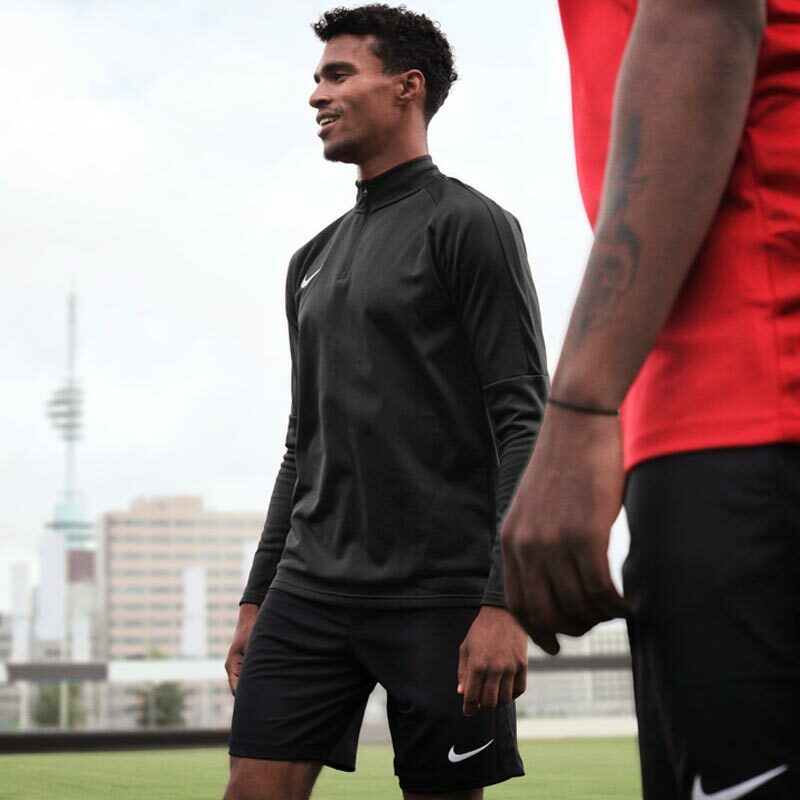 It pairs the sweat-wicking comfort of Nike Dry fabric with raglan sleeve construction and a 1/4-length zipper, so you can focus on the ball. 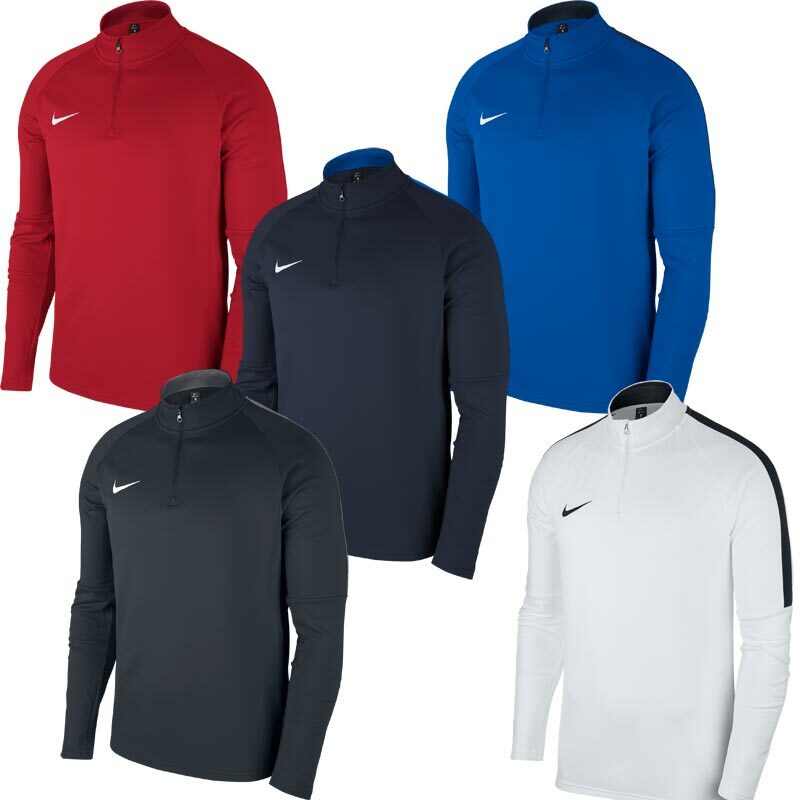 Nike academy tracksuit tops are a great fit for us coaches and the Nike all in one kits are great for the kids they love them. Excellent fit and comfort. Perfect for sport warm ups! Very pleased with the speed of delivery and quality of this product. They are used as training tops for my football team and the whole team love them. This is a great top at a great price from a great supplier. Wouldn’t buy anywhere else. 5 out of 5 All purpose! Brilliant! Used this product for the gym and to play football and its absolutely brilliant. Extremely versatile, breathable and will definitely be buying more! Top looks great on fits perfectly.delivery excellent would use this company again.. The Nike Mid Layer tips are awesome. They’re really comfortable and look great for sport or as an everyday top. A must for any sports team! Fast delivery Great price Great top. The top has served me well in all purposes and conditions, ranging from casual wear to training in rainy conditions. I cant say anything wrong about it, very light warm inside and durable. The zip sometimes gets stuck but it makes up for it with the design and fitting.